First and foremost it is good to clear the meaning of energy, according to general physics energy never been created and nor destroyed it is been transferred and transformed from some type to another. Mostly everyone is familiar to Atomic energy, heat,light,current, and wind as of energy well it is because these our most used types of energy resources however in reality everything is considered as energy, science knows as much as everything visible to eye or invisible is basicly group of similar atoms with same signature. Atoms can vibrate in different level, which is actually the electron that vibrates and number of electrons and protons in the atom also makes it unique, and normally number of electrons and protons are equal which makes atoms electrically neutral. The number of protons in an atom is defining feature of an atom, it is what makes one element different from another. Now we know that generally Atom is energy and everything is made out of atom, therefore everything is energy in essence. Very interesting and important characteristic of atoms is that 99.999999999999% of an atom is empty space, so now the question is if only 0.000000000001% of an atom is solid that means anything we see is only 0.000000000001% solid and 99.999999999999% is empty, just imagine the wall front of you if it is 99.999999999999% nothingness then how other solid objects aren't getting right through it, this rises the understanding of vibration which Albert Einstein has in his theories if we can shift our bodies molecular and atomic level vibration we can pass through something or we can be invisible. The vibration of the atom makes the illusion of solidity, imagine a fan rotating very fast all you see is a solid rounded plane, something similar is happening with atoms, therefore we interact with different elements in different level based on their atomic structure and vibration. Now that we understood the energy and elements around us including ourselves are a sort of energy, it is easy to understand how everything have some sort of influence and affect on everything else in surrounding, we will talk about feng shui and energy healing and more in future articles, and for now we will go over the basic knowledge of human energy body system and blueprint. Energy bodies are known as five main layers including physical body which is well known to everyone. However, the spiritual plane body itself contains different layers which we call it subtle bodies, and mental body could be separated to two layers which is lower mental and higher mental. 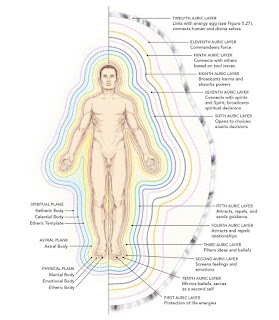 if you are asking where all these layers and bodies are coming from which is very great question, and here is the answer; as I explained earlier in this article about energy and vibration and how atoms are vibrating and creating a physical and solid matters in the same time they have magnetic field generated around themselves, which basicly we call it aura, the human aura is that electromagnetic field surrounding the body which consists of multiple and different layers and by using advance technology and cameras it is possible to take an image of aura layers which will show the layers in different sort of shades and color, those layers are the energy body layers. Lowest in frequency Regulates the human body. And generally we think of ourselves as physical body which is the first layer of existing body, so this article may help you to understand there is more to yourself than what you see and feel by touching our skin, and perhaps you may realize that we have more senses than 5 since those 5 senses are only from physical body, we will talk about other senses in future posts. This layer is blueprint for the physical structure that it surrounds. There is also an etheric human energy field for the soul. And everything that exists in physical plane has its own subtle etheric body counterpart. The human etheric body is the vibrating web of energy from which our energetic blueprint is created. It is also gray or gray-blue in color and it also has been referred to holograph of physical body. This layer regulates the emotional state of the organism. and it is unique to each individual like the fingerprint, it contains all our emotions and feelings including those created by unresolved issues from other life times or from our ancestors and whom of our moms. The emotional body functions outside of third dimensional reality and so has no recognition of time. Mental field which contain lower and higher mental fields, processes ideas, thoughts and beliefs. Lower mental stores and transmits all our thought patterns and mental processes. The higher mental body is the layer of energy linked to heart chakra dn is therefore a bridge from physical to the spiritual layer. 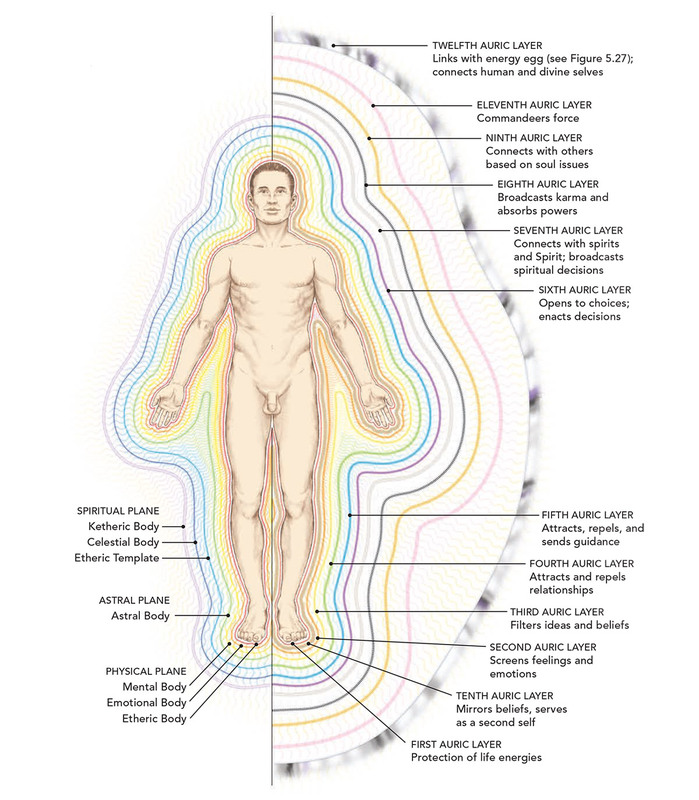 Spiritual field or plane contains Ketheric body, Celestial body, Etheric, Astral body. Etheric template holds the highest ideals for existence. Celestial field accesses universal energies and serves as a template for the etheric fields. 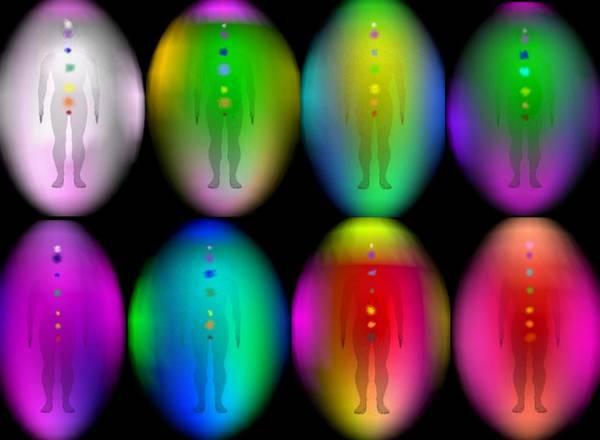 In the spiritual body level there is a merger of all aspects of all the subtle bodies as well as the essence of the physical, and is linked to crown chakra. The causal body is the layer of energy beyond the higher mental body and is linked to the throat chakra and the causal chakra at the back of the head. and This is the doorway to higher consciousness and links to personality to the collective consciousness of the planet.